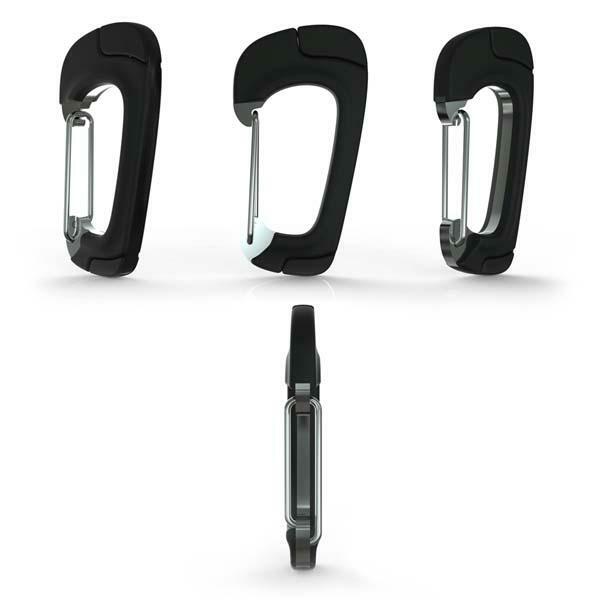 It’s not only a carabiner that can keep something important with you, but also a charging cable for your smartphone. If you like the idea, let’s go on checking NomadClip carabiner sized charging cable. 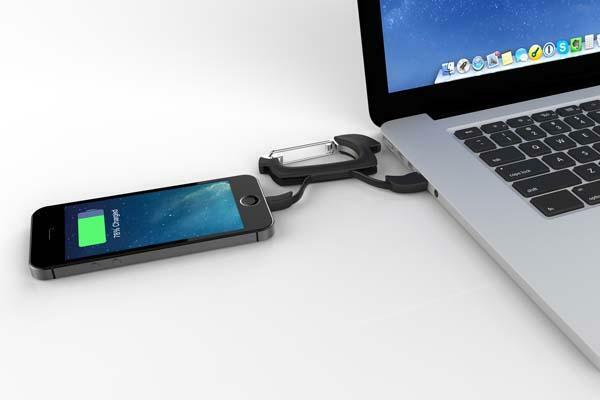 The NomadClip is a multi purpose charging and sync cable that comes in two models for iOS and Android devices. As shown in the images, NomadClip is shaped as a practical carabiner, and made from engineering-grade polycarbonate and high grade steel in order that you can use it to organize your various items for trips except climbing and heavy load bearing. Moreover, NomadClip also features an integrated charge cable for charging or syncing your smartphone with ease, and when not in use, the cable can be neatly hidden in the carabiner for portability. The NomadClip carabiner sized charging cable is available in Lightning and micro USB connectors. Each one is priced at $39 USD. If you’re interested, jump to Amazon (model with microUSB) for more details.